So you're looking for a great Samsung Galaxy deal, but maybe you're not quite sure which Samsung Galaxy phone you want? That's OK, we've rounded up the latest and best contract offers on the best Galaxy phones so you can compare them and see what's best for you. Underneath our editorial picks you'll find full price comparison tools in case you want to select the best deals on your chosen Samsung Galaxy handset. 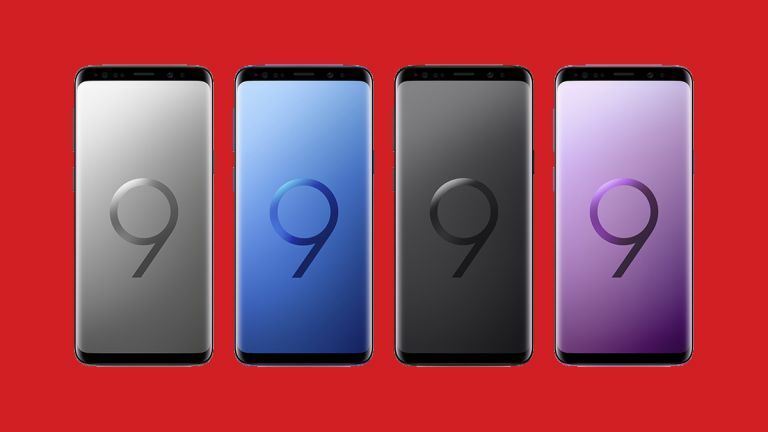 We'll kick things off with our favourite Samsung Galaxy S9 deal and even the S9 Plus for you phablet fans. And we can't speak about phablets without showing you the latest prices for the mighty Samsung Galaxy Note 8. If you don't really need the most up-to-date phone, though, you can save a lot of money by opting for one of Samsung's older phones like the Galaxy S8 (which is extremely similar to the new S9), or the still-excellent Samsung Galaxy S7 phones. With so many Samsung Galaxy S9 deals costing over £1000, we had to dig pretty deep to find this one. Thankfully, it still comes with a large amount of data -small data deals don't really seem to be a thing yet for the Galaxy S9. This deal is a great balance of a low monthly cost with an upfront fee that won't break the bank either. This contract costs £957 in total over 24 months. If you're after the larger Samsung Galaxy S9 Plus, you'll probably want to treat yourself to large data deal too. This one's a belter from Vodafone, a company that specialise in cheap data nowadays on the best phones. Let's put it this way, this is only £37 more in total over the course of the contract than EE are offering for just 25GB of data. So if you're big into streaming and downloading on the go, then this is the Galaxy S9 Plus deal for you. This contract costs £1297 in total over 24 months. With the Samsung Galaxy S9 Plus out in the world now, the Note 8 is starting to get cheaper. Well, a little, it's still a very expensive phone - it's also still rather brilliant. O2 has a quadruple data deal on right now with a healthy 12GB of data for just £35 a month. The overall contract cost of just over a £1000 is great value too as other networks are charging far more and for less data too. Don't forget to use the voucher code 10OFF at checkout to knock a tenner off the upfront cost. This contract costs £1005 in total over 24 months. The Samsung Galaxy S8 deal prices have come tumbling down since the arrival of the S9 and are well worth considering in our book seeing as the S9 was a minimal upgrade to say the least. We find that 4GB of data is more than enough for most users, especially with Wi-Fi being so readily available everywhere nowadays. Have a look at your current phone's mobile data usage and see if this would suit you. After all, what's the point paying for loads of data you just don't need? Unless you're streaming video and music on a regular basis away from Wi-Fi, this could save you a lot of money. This contract costs £702 in total over 24 months. The Samsung Galaxy S8 Plus has also seen some great discounts since the arrival of the S9 phones with prices dropping under £1000 for a contract on a regular basis. 3GB is plenty of data if you're never far from Wi-Fi and don't stream video/music content much when running on mobile signal alone. If that's not enough data for you though, check out our comparison chart at the bottom of the page to see what else is out there. This contract costs £916 in total over 24 months. Just have a little look below this deal...yep this Samsung Galaxy S7 Edge deal is the same price as the slightly smaller non-edge screen version. We do prefer the look of this gorgeous phone and all of Samsung's S-series of mobiles have followed suit since, but if you're a bit clumsy, you may prefer the extra protection of the non-edge S7 below. At £562 though for the contract we'd be tempted to treat ourselves with this stone cold classic. Need more data? Check out the other deals in our handy comparison chart below. This contract costs £562 in total over 24 months. The Samsung Galaxy S7 is still an exceptionally capable mobile phone a few years after release and is incredibly cheap nowadays too. This doesn't have the Edge screen, but seeing as you're probably going to put a protective cover on the phone anyways, that shouldn't matter really. £18 a month for a smartphone of this quality is an excellent deal and combined with the low upfront cost (don't forget to use 10OFF at checkout to knock a tenner off) means you can have it all for a contract costing just £562 over 24 months.